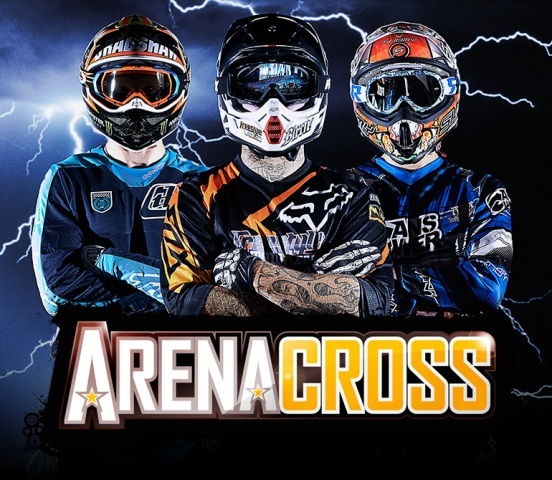 It's fast, furious and packed full of adrenoline - Arenacross is coming back to Birmingham. The show on January 25 at the LG Arena combines indoor dirt bike racing with freestyle motorcross. It's a white-knuckle ride of entertainment for the whole family over three hours. And it's not just about the gravity-defying skills on display - there's plenty of music and a laser show too to keep fans on the edge of their seats. Ramps have been made specially for the competition with riders trying to outdo each other with backflips and other aerial antics. If you haven't been to Arenacross before, imagine the whirr of engines, the bikes roaring with anticipation and daredevil riders willing to try out practically anything on land or in the air. Excitement buzzes around the arena as the bikers do stunts on two wheels, one wheel and in the air. Sometimes, they even come daringly close to each other in the mid air action as the compete in the bike races. Freestylers, who take place in competitions such as the X Games and Red Bull X-Fighters, take part in the show brought to Birmingham by e22. They are racing on 100kg motorbikes. e22 Sports Managing Director Matt Bates said that Arenacross used the most spectacular elements of outdoor Motorcross and "boils them down into a concentrated cocktail and then shoehorns them into arenas onto purpose-built dirt tracks". He added that racing is "short, sharp and shockingly spectacular with huge triple jumps, murderous mogul sections and fast, banked corners all designed to provide a high-octane sensory feast". Parking at the LG Arena is cheaper if booked in advance on the LG Arena website. It costs £7.50 in advance or £8.00 on the day. Tickets are priced at £11.80, £21.70 and £54.70 and available from the Ticket Factory website or by calling 0844 338 8000.